The curiosity of the unknown has blood running in Rivulets, given the choices made in his long racing career. But What emerges from the list, long, He has participated in competitions and achievements, is the strategic capability. Without whose talent may not even succeed. Of experience it has to sell: in total she traveled in Africa, in the race, duecentoventimila km. 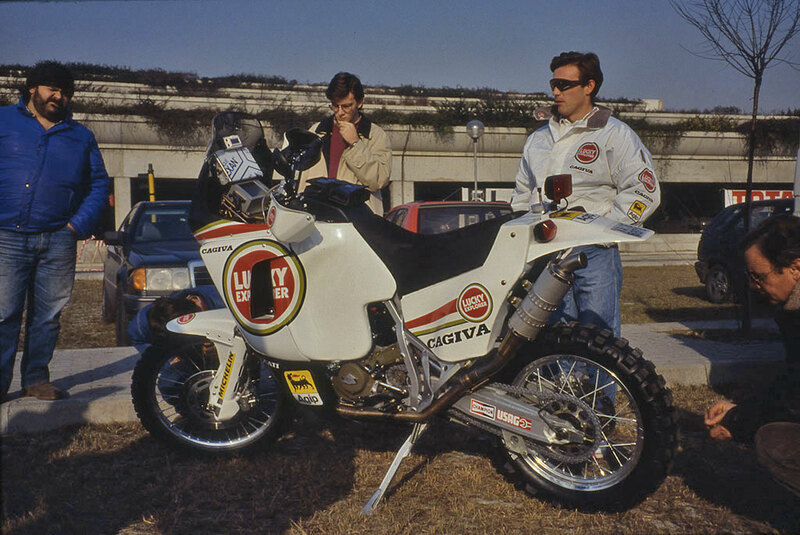 And it is perhaps the only one to have participated in the first eleven editions of the Dakar without ever retiring and closing almost always in the top ten. Inevitable then talk about most known rally, especially considering that dark period of 1998, When he turned up at the start with the colors of the brand with a German team Schalber Thumper. But the story of Edi Orioli is made of choices against the tide, of rationality and passion. Because the DNA is written also a fondness for cars, for perfection. As thirty years ago prepared minutely every detail of his bike, checking that the style, Today she wants to beauty around him. Edi Orioli, from pilot to entrepreneur. How did this step? “My story is not that there are steps. My story is made up of many things. As a child I had the passion of bike and then the bike. Went to my bike to the fields and the evolution was taking the Hi my uncle and use it off road. I came back every night with some broken piece. Then my dad took me a Gori 50, the only bike that gave me. From here onwards I started racing in regional competitions and my motorcycle escalation occurred so: I taught myself without following courses and special techniques. You see that I had it in my blood. In addition to racing, over the years I have always remained within the family business, the Pratic, a reality that in recent years has become a leader in its field. See, in 1995 My dad died, the head of the company. 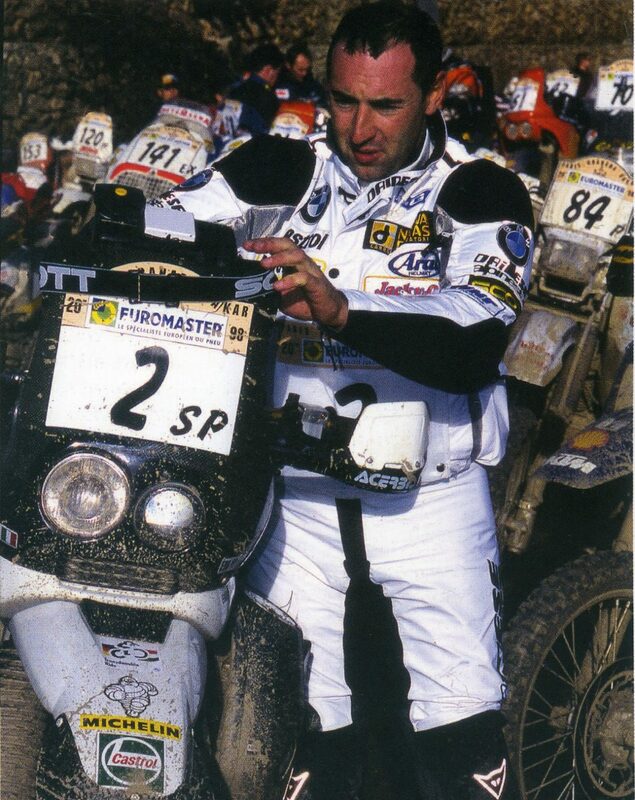 I couldn't finish the Dakar anyway, was the issue of 1996, winning it, and then I riavvicinai to the company in which I have always been. 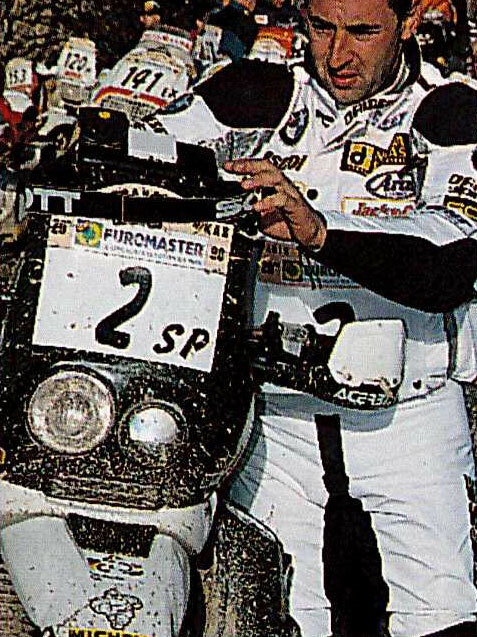 In 2007 then I stopped all competitions, Although the bike is always part of my life. But in a different way. The world of events and spotlight doesn't interest me much anymore. I prefer living my passions and my private moments and use the bikes for leisure”. What are the highlights of your life? “Certainly the choice to participate in the African raid. That was the change of direction in my career as a sports instructor. 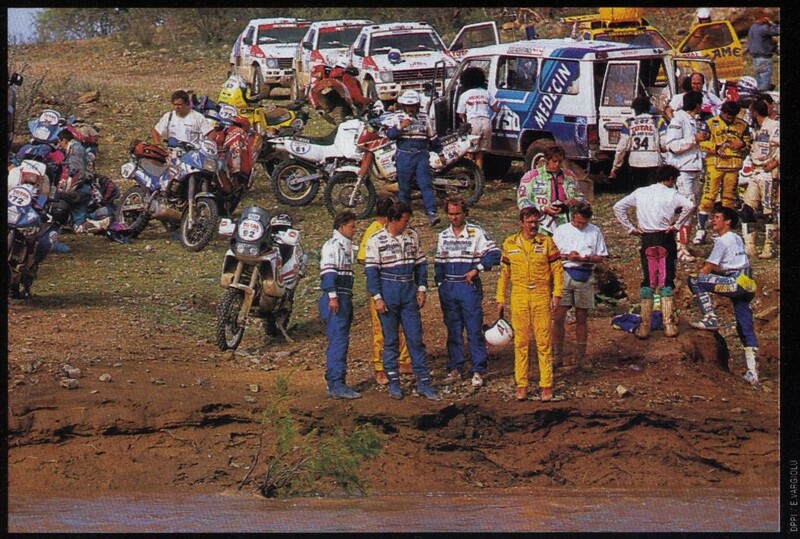 I decided to go to Africa even though I had a gig and I had to run with a team Puch Honda Rally Sardinia. I left the gig and went to do a race in Africa: I fell immediately in that way fuoristrada. I had a gig with Honda and from there went my career. Then I'd tell the switch to auto: my other hidden passion were the rally cars. With whom I raced and won. 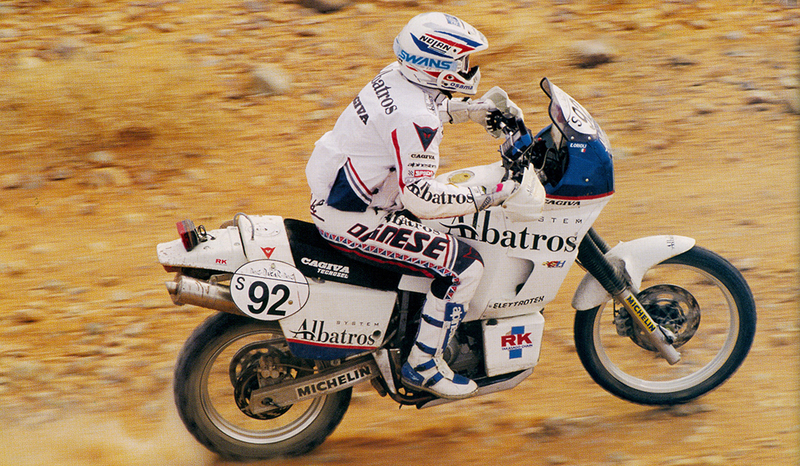 When I ran the Dakar, in the evening I put down the bike and went into the tent of team auto. I've always been fascinated by the car. 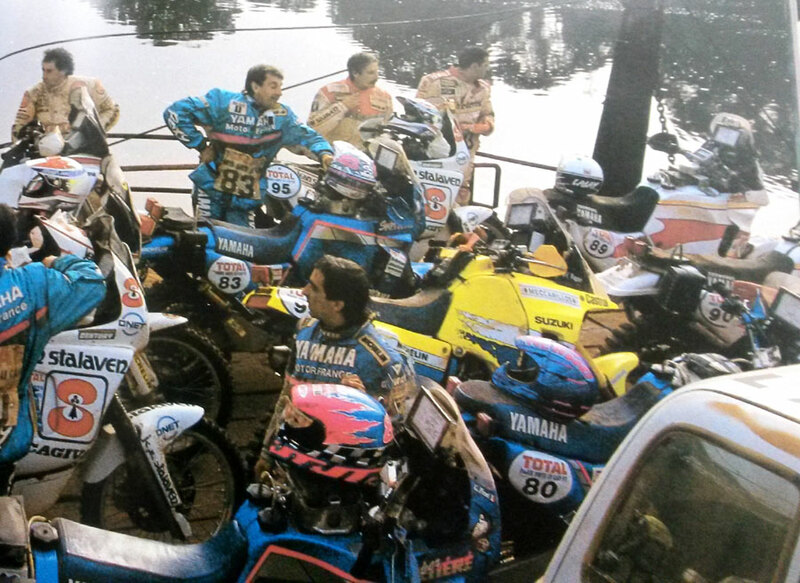 And then the last editions of the Dakar I did drive”. In Africa I have walked 220.000 km race! Face and win the Dakar has marked you? “I am not one who tease. I always going for the pleasure of running. To let you know what I think of the victories of the Dakar I tell you what I told a friend a long time ago: “EDI, do you understand how do you win”. In these few words in fact it seemed clear my situation. Understand how do you win is something subtle, You can't tell. They are moments that follow a long preparation. Are moments of decision. Is strategy. And once you try it you know how to present it again. Just so you get the results. And I have to say that I miss the adrenaline rush of an event like the Dakar and today I often go looking for emotions like. For example I've just been to the Isle of Man Tourist Trophy where I finally breathed real adrenaline. There it all makes sense: It is not an event, is a rite”. What is the toughest challenge you've faced? “For me the challenging time was switching from Honda to Cagiva. I was crushed three vertebrae at the Rally of the Pharaohs and the doctors had given me a six month prognosis. But I had to run the Dakar! Dr. Costa came up to me and started therapies and training. I spent three months hard, where I never resigned to not being able to participate in. Every day I used magnetic therapy and then I was lying on a bench in order not to load your back. Eventually I starting, its not in place. 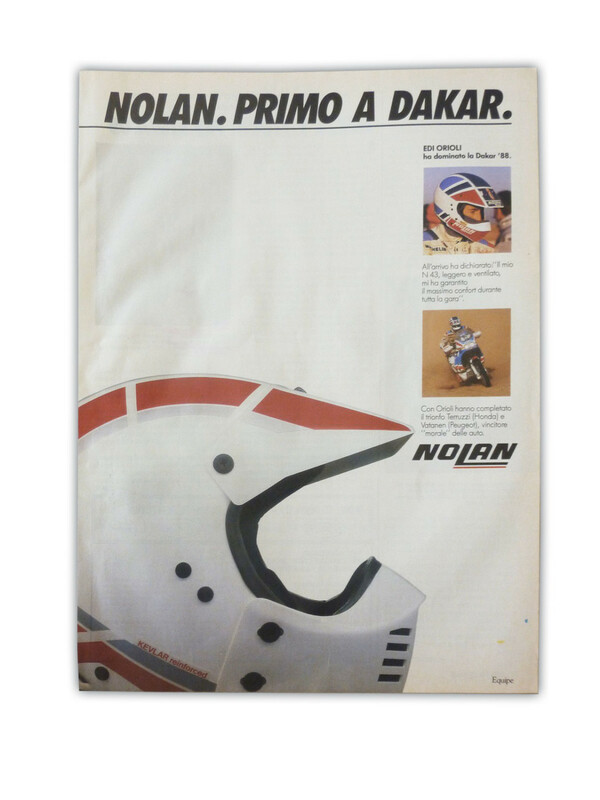 I couldn't really think of not being there to Dakar, I had won the year before. I left and I finished the race in the top ten. But it was really a hard moment”. “Watch, I just bought the car: an Audi RS6, and I enjoy every time I light it up. How do I answer that “bike”? Despite everything I did on two wheels I love cars. And then I like the Nice: as in my preparation technique. When I had to leave I was accurate: everything had to be in order, from aesthetics to mechanics. For me this was the basis for a good race. And even now I like to be in place. I have my beautiful bike and my lovely car. E vado in cerca di adrenalina: la RS ti regala adrenalina. Se non la usi ti manca e se la usi non riesci ad assuefarti. Non amo mostrarmi ma mi piacciono le cose belle e sportive”. Well, hai detto qual è la tua auto, ora dimmi qual è il tuo parco moto attuale. 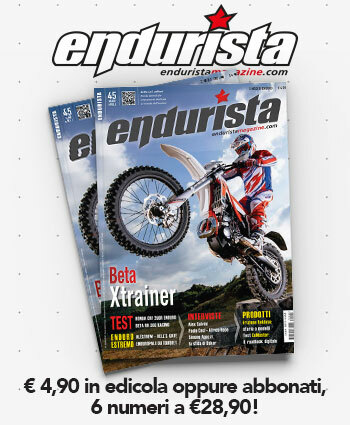 “In box ho una BMW R 1200 GS Adventure, una BMW HP2, una Husqvama 300 da enduro, una trial Honda Montesa e la Honda RC30- VFR750R. E la Gori 50 con cui ho iniziato”. E cosa pensi delle moto special, quelle customizzate che impazzano da un po’? “In prima battuta potrei dirti che sono felice di questa moda perché così moto che erano abbandonate nei sottoscala tornano a vivere. Anche se customizzate. E poi apprezzo chi le personalizza perché è un po’ un artista a prescindere che uno se la faccia da solo o la faccia fare ad altri. Per contro forse a volte il risultato non significa proprio usare la moto, ma solo creare un’immagine. Comunque non mi dispiace questa moda, mi sta simpatica. In fondo ognuno cerca l’unicità del pezzo, a volte con cura maniacale”. Oggi in quali rapporti sei con i marchi con cui hai corso? “lo sono uno dei pochi che si è fatto benvolere da tutti i miei sponsor. Avevo la mia filosofia: se qualcuno mi dava io dovevo ritornare almeno altrettanto. Ho mantenuto anche ottimi rapporti con i giornalisti”. E la tua storia con BMW? “Con BMW ho un rapporto strano. lo sono stato più hondista, per l’inizio della mia carriera. Ma avevo una forte simpatia per BMW. Feci lo sviluppo del loro monocilindrico per un anno, oltre a correre alla Dakar. Dopo questo però arrivò un pilota più giovane, Richard Sainct e da Monaco mi offrirono condizioni di contratto inaccettabili. Andai via allora. Oggi però io continuo ad amare e apprezzare questo brand. Del resto non potrei mai fare a meno di una moto BMW in box. E la mia filosofia mi pare in linea con quella di BMW: mi piacciono le cose minima, ma ben fatte, solide. lo credo in questo motto: il deserto esalta le cose più solide. Me lo disse un tuareg quando mi fermai dopo una lunga tappa. Vedendomi in moto mi chiese da dove e quando fossi partito: gli descrissi il percorso, quel giorno avevo percorso seicento chilometri. Mi chiese: “Com’è possibile? Io ci metto due settimane e mezzo, col cammello!” Quel tuareg mi ha fatto molto pensare. Però come ex-pilota BMW non ho mai avuto un rapporto come invece ho avuto con gli altri marchi. Ad esempio con Cagiva e Honda Italia ho avuto rapporti diretti e coinvolgenti: parlavo direttamente con chi aveva potere decisionale. Con BMW il rapporto era freddo, ho avuto a che fare solo con dirigenti che spesso cambiavano e quindi non si è mai creato un rapporto, tutto molto impersonale. Devo ammettere che l’organizzazione era impeccabile: da pilota avevo tutto quello che mi poteva servire ed ero trattato dawero bene. Il rapporto umano era un po’ meno soddisfacente. A pensarci mi dispiace di non aver potuto provare a far parte del mito di Gaston Rahier e Hubert Auriol, e poter scrivere anche il mio nome negli albi d’oro di Monaco. I would have loved to try the boxer”. What was the single driving? 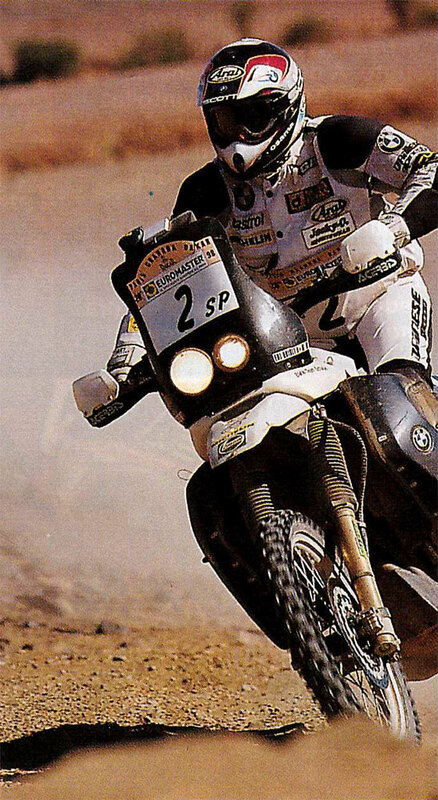 “When I raced with BMW was official but unofficial: my contract was with Monaco but I strongly supported at the start of the Dakar team Schalber. BMW did not want to appear because it was the first edition and did not want to risk a fool. I retired for a break just incredible: He had slipped a rock between the sump and the paramo-tore. And I noticed that the engine was already melted. All singles were nonetheless moto more fragile compared to twins. Slower even though it had no however reached a good level. 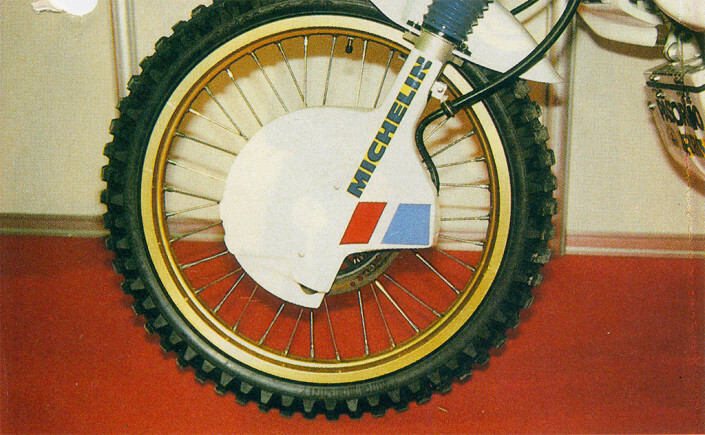 But we were forced to use the Thumper for regulation, for-because in those years had been forbidden to bicilindrica. E con le mono eri sempre impicca-to invece con la bicilindrica avevi margine di potenza e velocità”. “Bicilindrica tutta la vita. Anche se pesa di più la goduria di un bicilindrico in qualsiasi configurazione ha un’erogazione inarrivabile. Le monocilindriche le definisco “i vibratori”. Parlando di GS in fuoristrada, devo dire che il limite principale è il cardano”. E quali erano le difficoltà più grandi per un pilota di moto a cavallo tra gli anni 80 and 90? E oggi quali credi che siano le difficoltà più grandi? “Allora potessero il fatto di non conoscere l’Africa. Si andava organizzati ,a allo sbaraglio per quanto concerneva il territorio: si mettevano le ruote su terreni ignori e in continuo mutamento. Dune, fesh fesh, rocce, l’Africa è imprevedibile. E allora si affrontava la fatica meno preparati: ad esempio non sapevamo di dover bere molto di più di quanto non facessimo. C’era la difficoltà di risparmiare la testa e il mezzo: chi non lo faceva tornava con l’aereo ambulanza. E bisognava conoscere la navigazione e la strategia. Per i piloti di oggi le difficoltà non sono queste. Non c’è la navigazione, non c’è il risparmio del mezzo: la sera l moto viene rifatta da capo se necessita e con le tappe più brevi diventa difficile perdersi. Oggi la difficoltà è percorrere tutto il tratto a fuoco; la gara è più serrata. Here's, potrei dire che oggi è una vera gara, allora invece era un’avventura: si era soli con il proprio mezzo. Today there are many people who support ". You traced routes, crossed uncharted lands, organized raid around the world. Today what is the travel for Edi Orioli? "The journey for me should be interactive. When I leave I have to enjoy the country from traveler and not as a tourist. I face a trip last year. More can't I miss the time. You think that if it were up to me, After this interview, I'd put a shirt and a pack of Tan in a bag and I would start in motion. But I also like to play it safe: having little time I want my outputs are certain to enjoy myself. When childbirth so plan well the trip because I also want to have fun. Motorbike trip fully charged on the dunes wouldn't: questo cancellerebbe il divertimento di guida”. Della Dakar di ieri e delle evoluzioni di oggi abbiamo approfondito parecchio nell’intervista apparsa sul volume di febbraio 2018 di Motocross. Mi domando: se la potessi organizzare a modo tuo quali sarebbero i punti chiave della competizione? “Sicuramente tornerei alle origini. 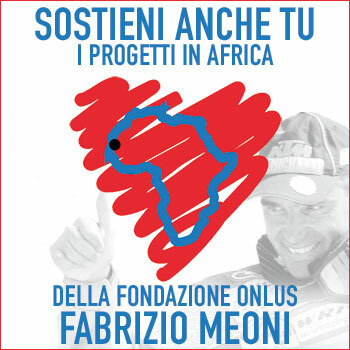 Ovviamente non si può tornare in Africa, oggi per diversi motivi non si riuscirebbe a organizzare la gara lì. Ma parlando di regolamento io mi ispirerei all’avventura e alla navigazione, alla natura del luogo e alla sicurezza. Per la sicurezza oggi si è arrivati a livelli molto avanzati. Terrei quindi i sistemi di geolocalizzazione. Ma tornerei per quanto possibile alle origini, con bivacchi lontani dai villaggi, allungando, e quindi diminuendo, le tappe. Ridurrei il comfort, leaving more room for adventure. Of course we must reckon with the budget, with sponsors and visibility. I should think about this. At the bottom of the race gave rise to, so I think it might be appreciated by many. It would be a real challenge, I think. Because those who tried, just look at the Africa Race, struggling to take off because the official teams go into making the new Dakar. With respect to Africa Race should be able to invoke multiple teams that differentiate a little’ the set of drivers, results and solutions. Even for journalists today I think it's hard to tell the Dakar. The technology then has a little’ distorted this competition”. 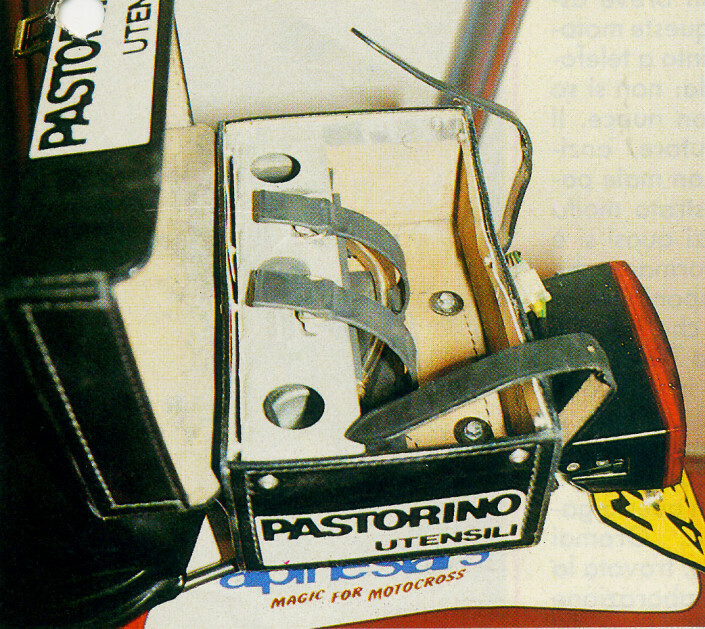 Difficult, however, to imagine a race out of time: banish the technology can? 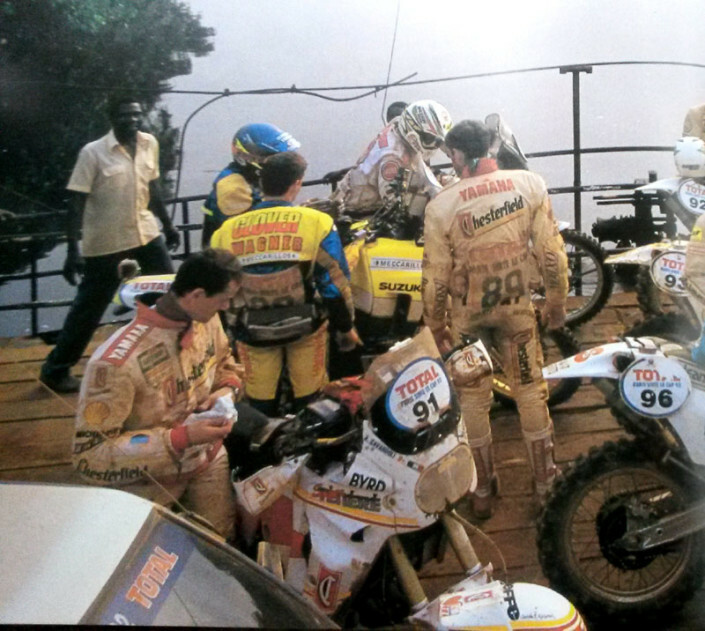 Many problems as in Dakar 1998, EDI Orioli he never had, and a crack of basement – caused by a stone (!) that has transfixed the carbon protection – He put an end to the race of champion friulano. And the long-awaited return of BMW, that after so many investments and victories with old twins boxer, began developing a single derived from BMW-Rotax of the F650. A motorcycle, that for reasons of image was fielded in unofficial form, Although it is clear that behind the beautiful prototypes used there is the will of the German House of return to be a leader in the African Marathon. 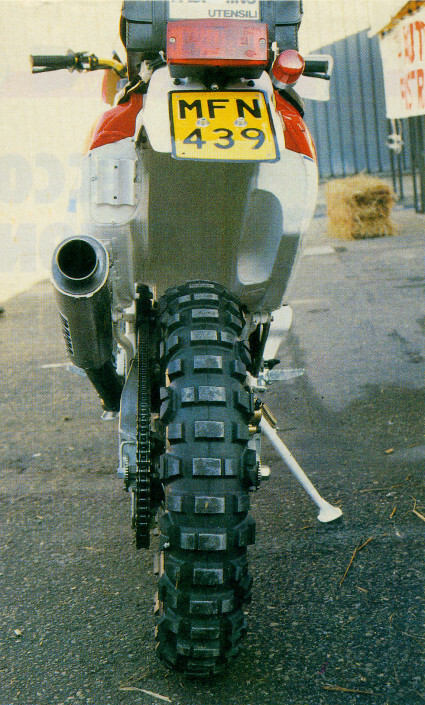 But the Dakar is no longer what it once, When experience and above all sense of direction and navigation made the difference. "With the introduction of GPS (the satellite receiver for orientation) now there you lose more – confirms Oberoi on his return to Italy – and basically traveling continuously to throttle. I saw riders pull from morning until night as damned, and I am surprised how the various Rome, Haydon, Cox are still in one piece. With the GPS provided by the Organization this year we had ten way-point. Too many, so do not lose anyone. I asked for the next edition down to three, because otherwise it completely alters the philosophy of this race. 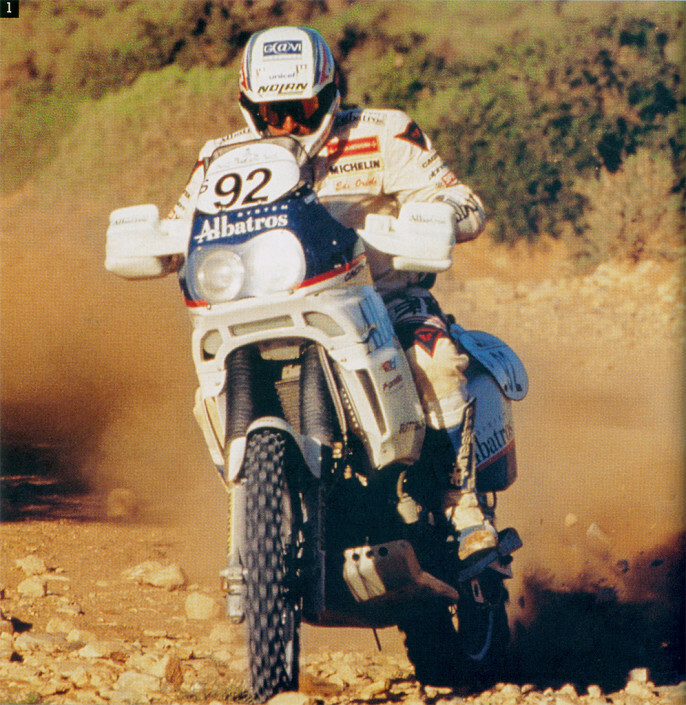 I'm not saying delete the GPS, all in all it is an extra security, but you should not reduce the Dakar to a motocross race». If you hadn't soon retired you could round off? «For sure. At the end with a little calm and experience I could easily climb on the podium. Unfortunately we at BMW we had problems with GPS (provided by the Organization) Since day one and, After trying all the possible connections, We tried to replace it with the version intended for cars. Nothing to do. On the BMW is triggered electrical interference that we haven't yet included. Then a stone is passed between tank and engine protection plate and he cracked the carter. I noticed the control stamp, When I saw the boot in dirty oil. I will have at least 80 km at full throttle and oil was up. Stopping the engine, no longer divided». After this first experience with the single-cylinder BMW, thou wilt ask German technicians for next year? «A little’ more power, and especially a chassis with better weight distribution centered and a slightly more limber uploaded. Even the setting is to fix because I couldn't move forward as I would have liked. A streamlined tank solves the problem-rebbe. Besides, these were things we already knew before leaving, but you have not had time to develop new superstructures». 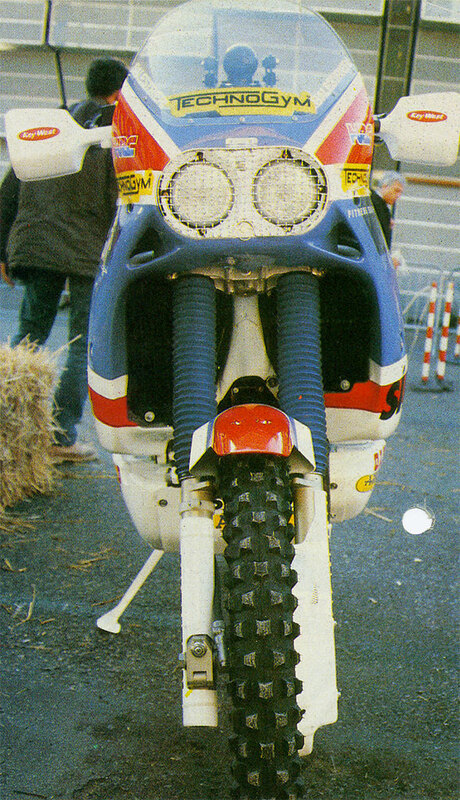 But you can win the Dakar with a Thumper? «No, at least until the twins will be entrusted to riders like Peterhansel. If cylinder prototypes next year will no longer be allowed at the start, things will change. So I think in BMW and in its development programme. And participate already this year was a correct choice, so we already made the field. 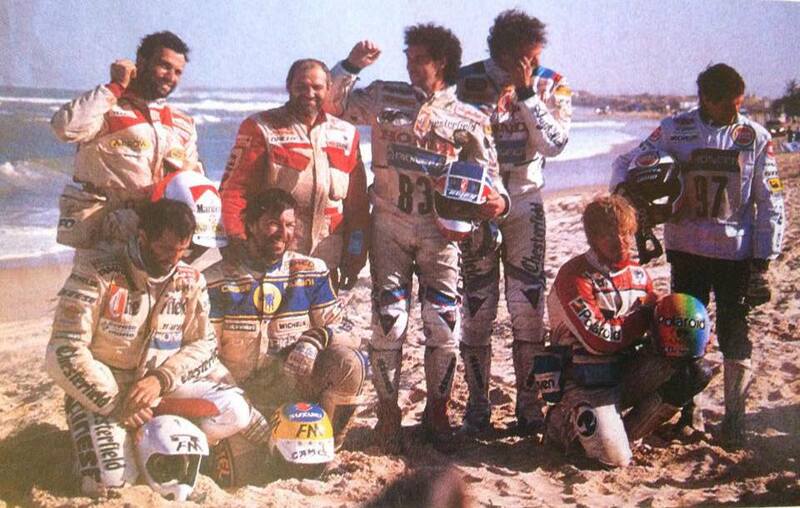 And only those who have participated in the Dakar can understand how this is important». With Peterhansel you could still fight, even if everything had worked the best? 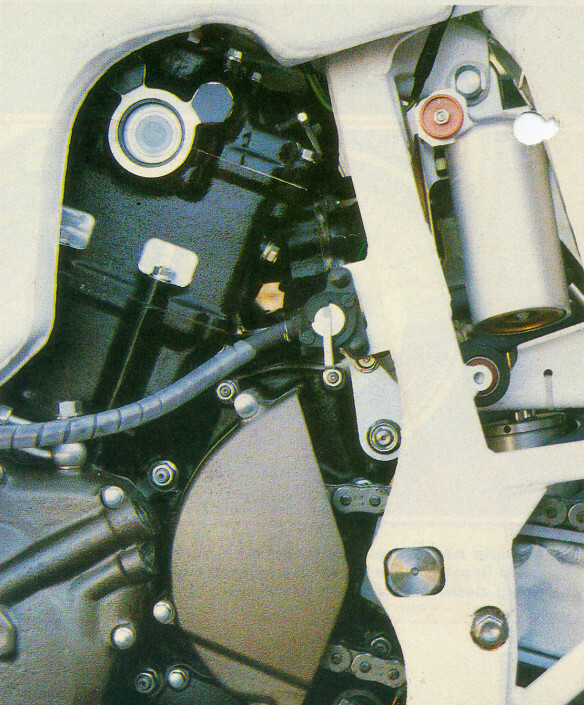 "No, Why drive a twin as the Yamaha means you always have a margin to handle. On the sand the BMW does not exceed 150 km/h, and to preserve a little’ the mechanics wanted a small margin, traveling on 140 km/h. With Yamaha, Peterhansel already guada-PLE had traveling on 160; with that bike I tried to touch 197 km/h and, just to give an idea, with the official Cagiva arri-mass early to touch 208 km/h. Today these speeds do not serve almost more, but a little’ more power is always handy. 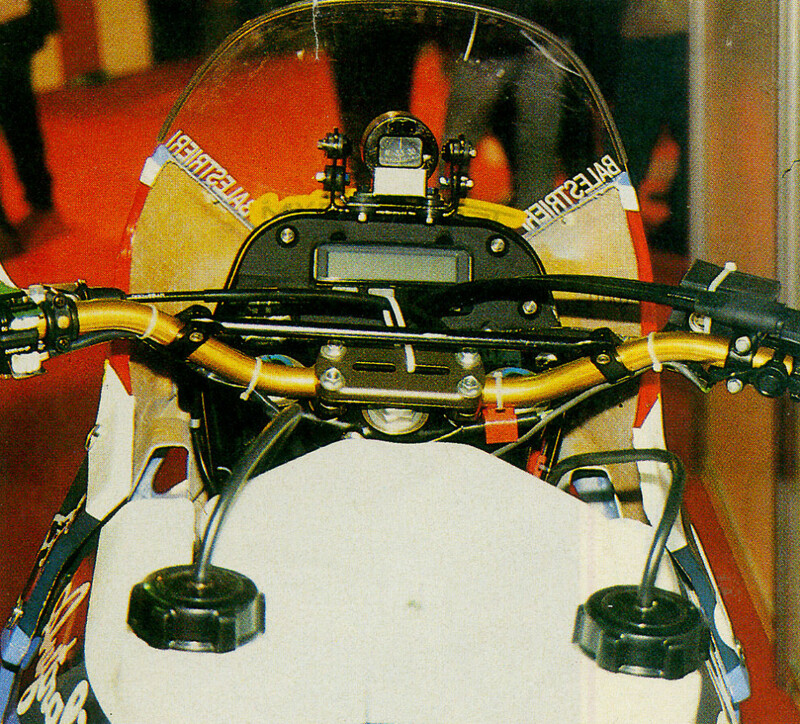 With the single cylinder this margin does not exist, traveling constantly close to the limit of the bike and this is not good even for mechanics. Surely they are the lightest bikes: I guess my BMW weights on 170/175 kg without fuel and the tanks contain only 45 liters. But the weight saving compared to the two cylinders is not enough to make a real difference». And compared to other singles co-me the KTM? "We still lack a little something, but it's not a big deal. My BMW its first participation 80% already judging you and I think this is a big result. 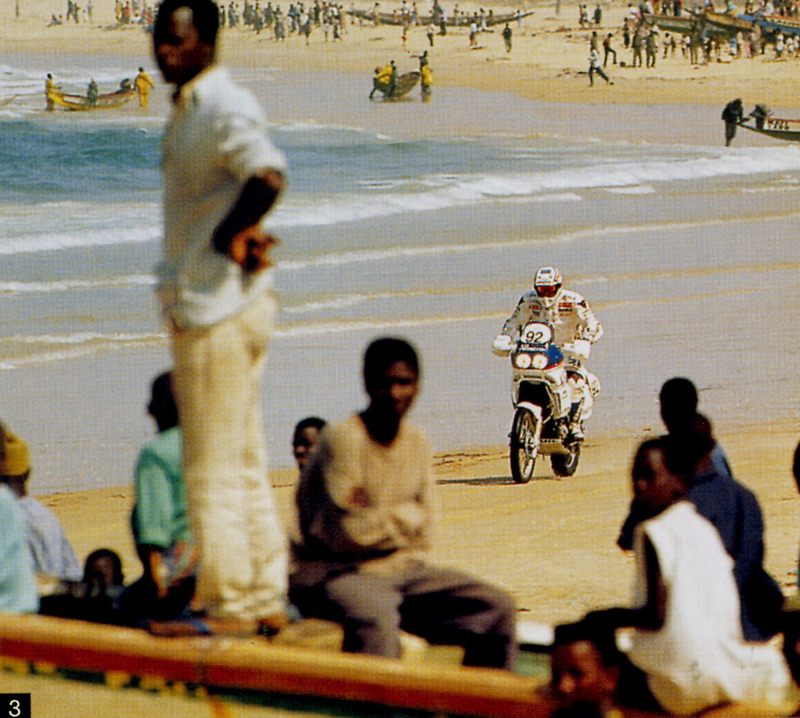 Unfortunately in Dakar there are arrived, but the bike is valid». You have raced with the version with progressive linkage to shock absorber? 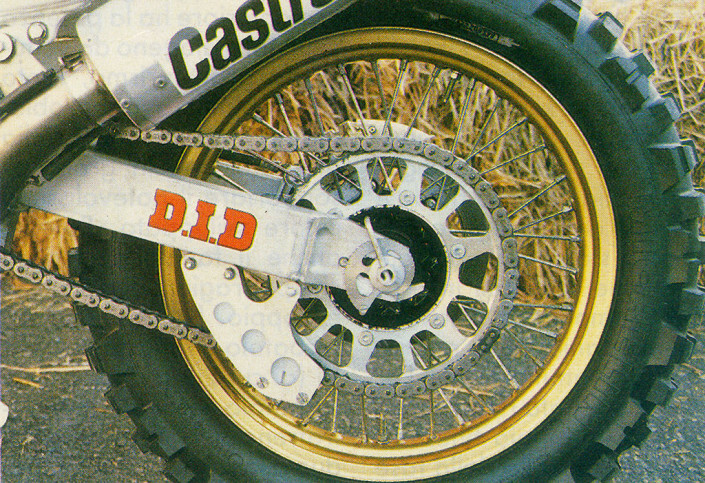 "Yes and it was the right choice, as for the Showa fork prepared by Parker (those of Suzuki cross forks 50 mm, Ed) and to the shock of the artisan French Donére, that will be even less comfortable but it is definitely superior to traditional ones». «And’ a cushion that instead of having within the usual range of lamellas has a very original hydraulic system, with valves and floats involved oil passages. The most important difference is in better traction offering. Also use Peterhansel and Mitsubishi officials. And’ complicated to develop but, Once you have found the right calibration, rocks». 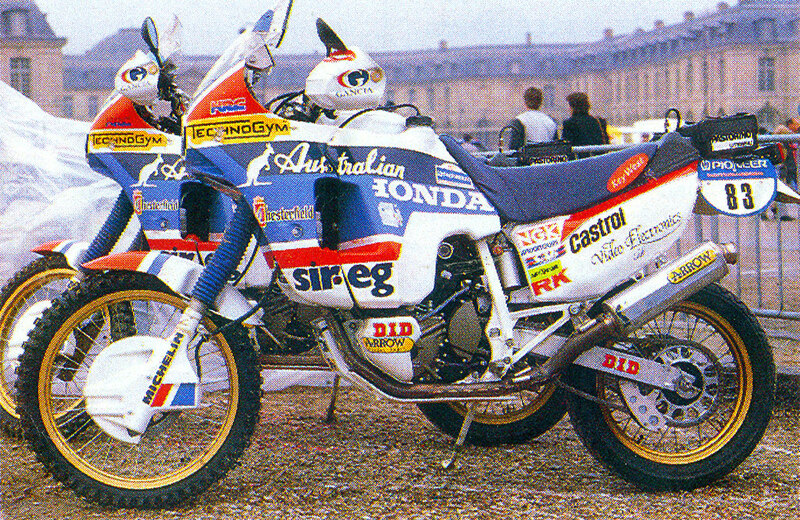 What impression do you have of this renewed Paris-Dakar? «Auriol is a guarantee, He doesn't lack experience and worked fine. But there were no problems with incredible timekeepers; in all my investments were never so approximate. Showed a superficiality disarming. Finally I missed the Algeria; paths such as those we will find more and not Morocco to cross it's not fun». 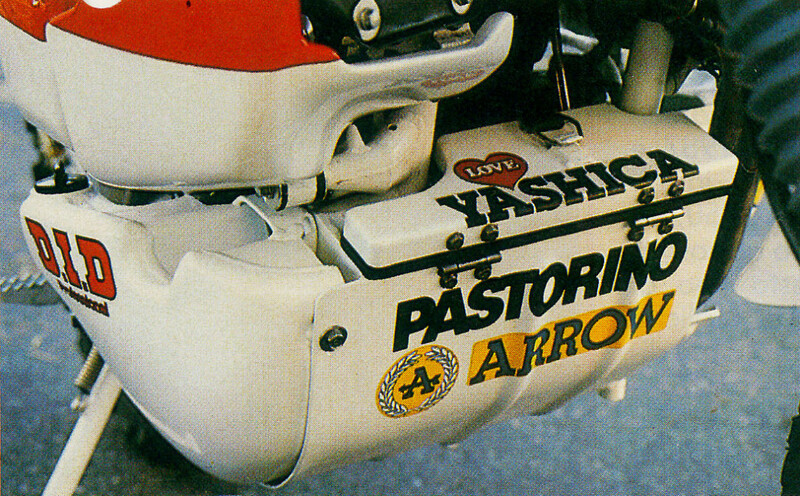 The excellent results achieved by Italian riders in marathons in Africa and in particular in the Paris-Dakar, begin to have proper recognition on the part of Japanese houses. For the first time this year Honda Italy will take the field with the same bike entrusted by the parent company to the French sister company. 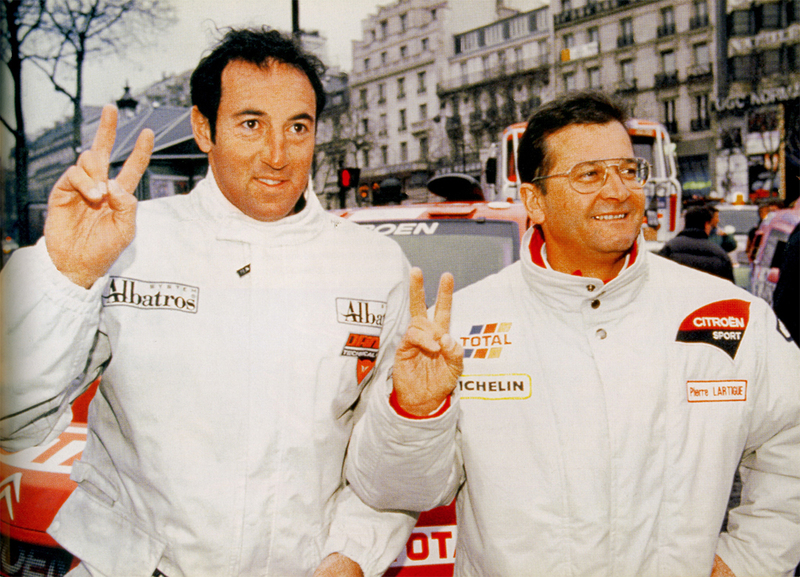 One of the drivers of the team Italian, place under the technical guidance of Massimo Ormeni, will be Vinod B that the Dakar will lead the version ' 88 of NXR 750, winner 1987 with Cyril Neveu African Marathon. The same “Crossbow” pointed out at the Bologna Motor Show the weapon with which he will attempt to become the first Italian winner of the Paris-Dakar. B has already tried the NXR 750 in Tunisia and is excited. «Respect to Thumper that drove last year, the NXR 750 It is another thing. And a particularly balanced bike, sfruttabilissima even at low rpm. You can resume in quinta da 2000 rounds without the engine betray the slightest problem. The top speed on the straights dirt tracks is fantastic, In addition 190 km/hour, against the 160 scarce of Thumper. Despite being heavier and bulky, handles just as well and the riding position is more comfortable and less tiring. In addition, than the Thumper the engine is less “pulled”, all to the advantage of the reliability, determinant in-and marathons like the Paris-Dakar. The only sealing problems may arise in close and mixed on the rocks, where weight and space are felt, but on the vast expanses of sand the superiority of twins you can't put into question. It will rather be able to maintain for over twenty days the frantic pace that bike like the NXR can allow». 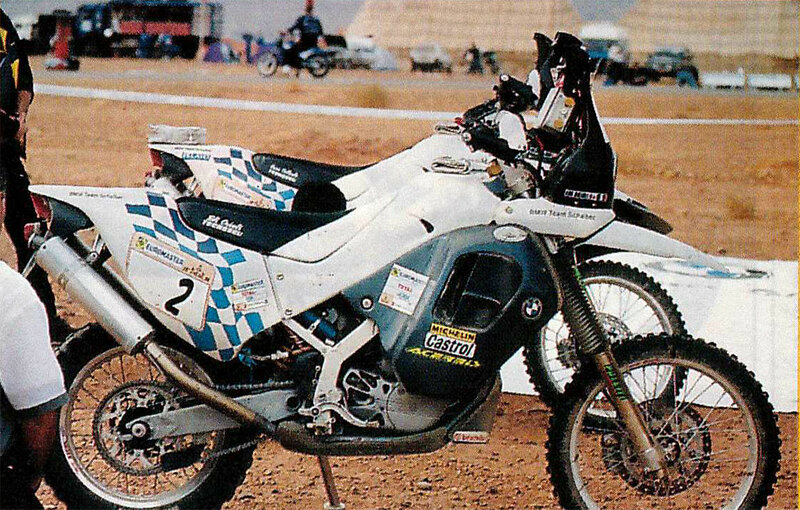 «Technically speaking», ' 88 version of the Crossbowmen continues «NXR 750 did not undergo substantial changes than the bike that won the Dakar last year. The HRC (the Honda Racing Division) worked primarily on deployment diagrams to make smooth and constant power delivery to each scheme. Were subsequently adopted a number of solutions that simplify the work of mechanics in maintenance operations. 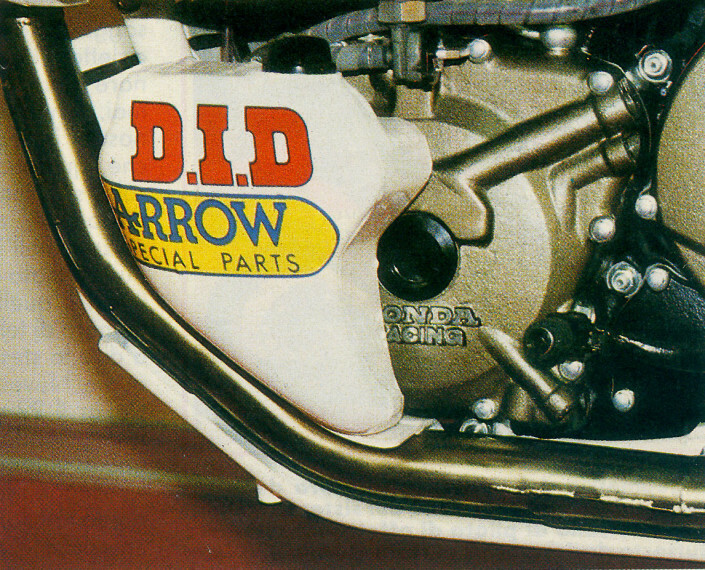 For instance has been obtained on the cylinder a wide window for the control and adjustment of the cam. 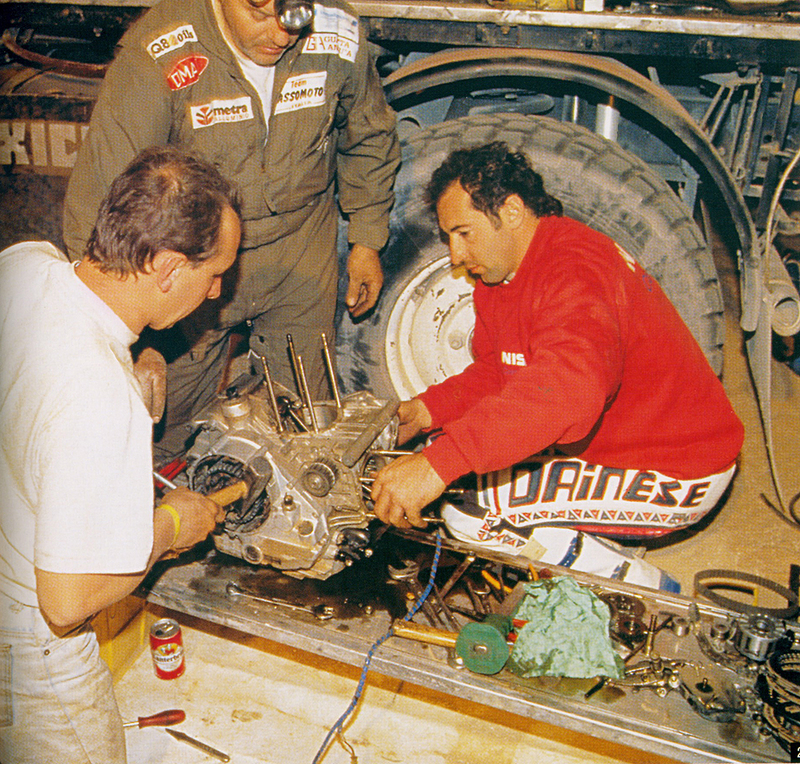 In a race like the Dakar is important to evaluate every detail, in this connection an element which may appear unimportant as the crutch was the result of a careful study, not only in the obvious strength of material, but also the shape and inclination necessary to offer the best anchor in the sand. 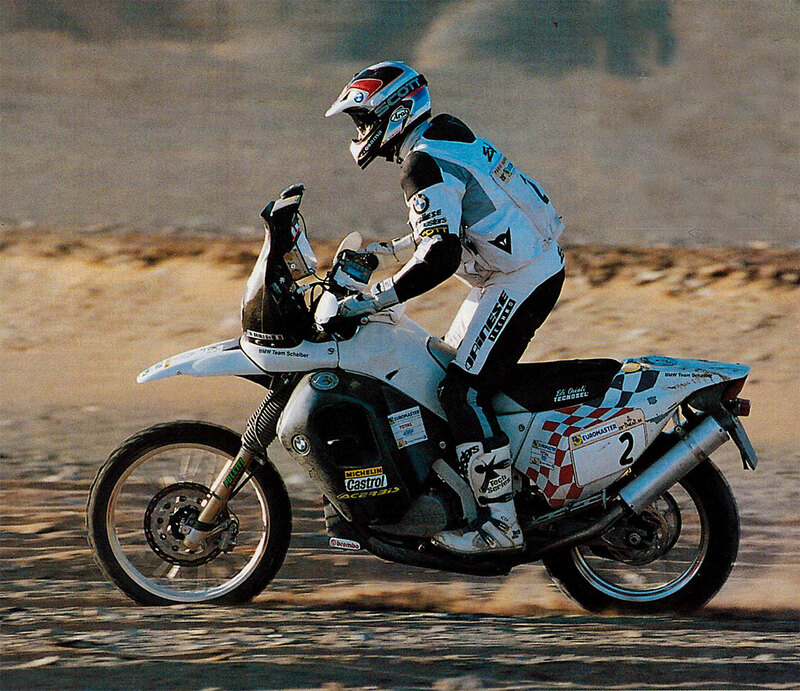 «Ormeni staff», explains the Crossbowmen ' has further improved in Japan and was preoccupied with the motorcycle with all accessories required for tackling a tough and unpredictable Marathon which is the Paris-Dakar. Like you know, one of the most difficult problems to solve is the orientation. To help me this year I even a compass by helicopter and two sophisticated electronic tripmaster. The stages of the Dakar also provide night transfers and in poor visibility, indispensable therefore a more than efficient lighting system. 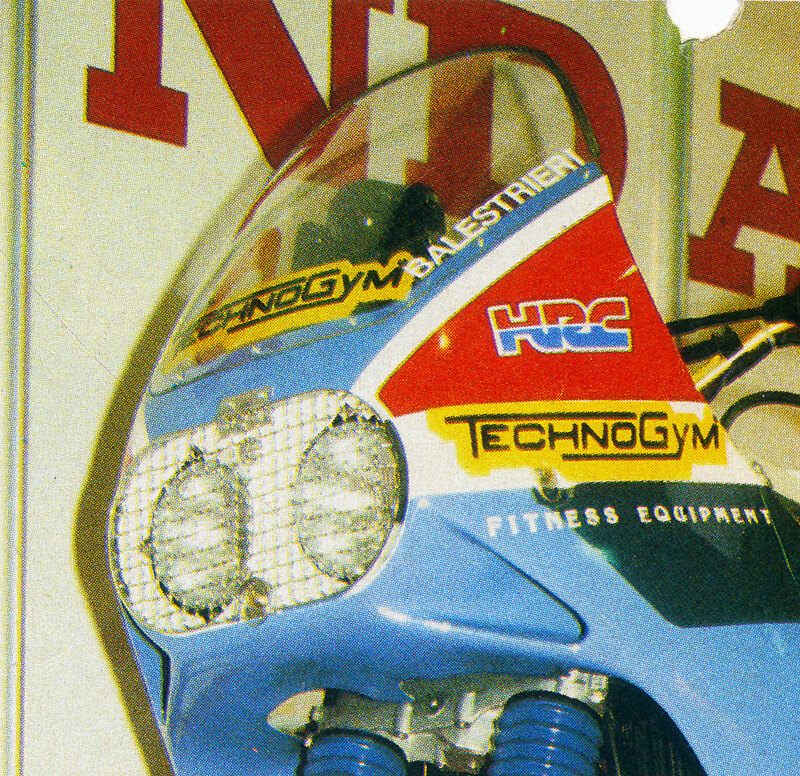 Double front unit has the power of a halogen headlight from car from gran turismo much we had problems to find a protective cage can withstand considerable heat generated. Massive front of the NXR that weighs under full load over 230 kg.